Next year the International Energy Agency (IEA) expects global daily oil demand to exceed 100 million barrels per day. That is 700 million barrels per week, roughly 3 billion barrels per month and 36.5 billion barrels over the course of a year. At $60 per barrel that is a $2.2 trillion market. The numbers are absurdly large. The fact that the global price for oil is now fully in the hands of one 33 year old man. I don’t care how busy your weekend was you’ve got nothing on the Saudi Crown Prince Mohammed bin Salman. What did Prince Mohammed get up to? 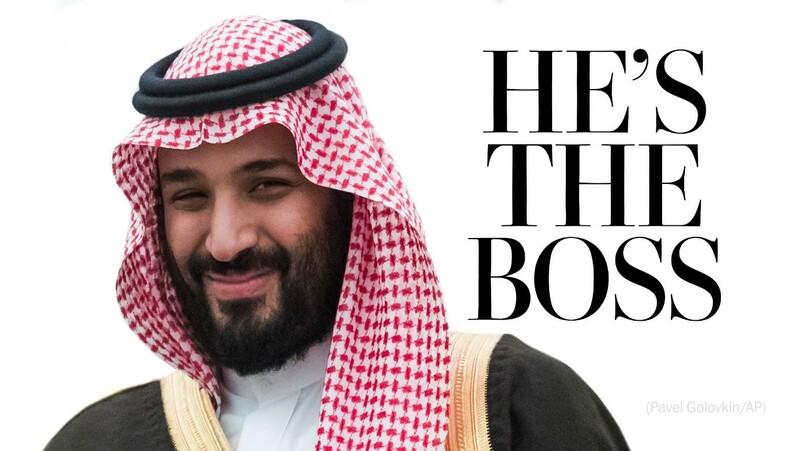 As part of what was called a ‘crackdown on corruption’ Prince Mohammed fired key senior Saudi ministers and had dozens of Saudi Arabia’s richest, most influential men arrested. Included among those arrested were at least a dozen members of the current ruling family, globally recognized billionaires and key members of the Saudi business community. In doing so Prince Mohammed has abandoned 70 years of a collective Saudi ruling policy that was designed to create stability. He rounded up his biggest threats, locked them away and now has completely consolidated power for himself. The current Saudi king is Prince Mohammed’s father. Officially that puts the Prince second in line, but with the king in very poor health everyone knows Prince Mohammed is already in control. What job did you have when you were 33? Historically the ruling Saudi king has always had formal power. However the king was expected to (and did) consult with the other senior royal family members and govern the nation through consensus. For the first time all three Saudi power ministries (defense, interior and National Guard) are under the control of one branch of the Saudi royal family. Bold doesn’t begin to describe Prince Mohammed’s actions. The fact that was willing to do it in such an open manner for the entire world to see is amazing. In April 2016 Prince Mohammed unveiled his “Vision 2030” plan for Saudi Arabia. Vision 2030 aims to reduce the Saudi dependence on oil, diversify its economy and develop public service sectors such as health, education, infrastructure and tourism. It is an ambitious undertaking and is going to require a lot of money. Hundreds of billions to be sure. A centerpiece for the plan is monetizing the country’s crown jewel, the national oil company Saudi Aramco. As of today the first step involves Saudi Arabia planning to sell a 5 percent stake in Saudi Aramco through an IPO in 2018. For Prince Mohammed it is crucial that the market values Saudi Aramco as richly as possible in the IPO. In order to do that, the Prince needs the price of oil to be strong. Fortunately for him, he can make that happen. At the start of this year Saudi Arabia took production down from 10.7 million barrels per day to 10 million barrels per day. Production has remained down since the initial cut. With OPEC partners contributing cuts of their own global oil inventories have decreased significantly in 2017. Those decreases really started showing up in the United States this summer which has finally put a bid under the price of oil. With the Saudi Aramco IPO likely to occur in 2018 you can bet that Prince Mohammed is far more likely to tighten the oil market too much than he is too back off production cuts too soon. That could make the next 6 months a rewarding stretch for oil sector investors. It certainly appears that a very new Saudi Arabia has arrived. The old Saudi Arabia was one that preferred caution over confrontation when it came to international relations. The old Saudi Arabia focused on stability at home and kept Saudi royal family issues private. Prince Mohammed’s Saudi Arabia is very different. He was behind the military campaign against Houthi rebels in Yemen that began in March 2015. That campaign still drags on costing the Saudis $200 million per day, has killed more than 10,000 people and left millions of people in Yemen facing famine and a cholera epidemic. It was a bold move, but perhaps not a very good one. Prince Mohammed’s involvement in Yemen is due to the Houthi’s being aligned with Shi’ite Iran. Having ties with Iran is also his motive for leading a diplomatic campaign to isolate Qatar. It is Islam’s civil war, Sunni (Saudi) vs. Shia (Iran). The division dates back to 632AD and a dispute over succession following the death of the Islamic prophet Muhammad. The Prince is a man of action, which has to make a person nervous about what he is saying about Iran. 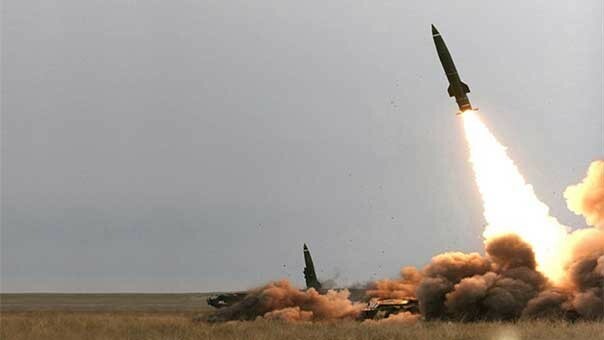 This week Prince Mohammed called the Houthi firing of an Iranian supplied missile at Saudi Arabia an “Act of War” on the part of Iran. The Prince then stated that such an act would not go past without a response. Those are bold words when you look at the tale of the tape. Iran is much larger with a population of 83 million against Saudi Arabia’s 32 million. Iran’s military personnel rings in at close to a million while the Saudi military has a quarter of that. Saudi’s air force is larger, 709 military aircraft to Iran’s 477. Both countries have a similar number of tanks with 1,100. Iran has superiority in long range artillery though and is certainly more battle hardened, especially the 125,000 members of Iran’s Revolutionary Guard. It is a war that everyone will lose. For years the world has been able to rely on Saudi Arabia to be the calm head in this region. With no calm heads remaining what will the future bring? With Prince Mohammed now fully in charge one would have to think lower oil prices in the short term won’t be one thing. EDITORS NOTE–If Prince Mohammed is smart, the oil price is going higher. If he’s dumb, it’s going a lot higher. Oil stocks are moving up–don’t miss out! If you stay disciplined with the low cost producers that turn into cash flow machines as oil moves up, you can enjoy great capital gains and sleep at night. Get the name and symbol to my #1 Oil Stock–a cash flow machine even at lower prices...right HERE.